Fresh on the market in the tropical area of Tequesta, Florida is this picturesque waterfront gem. 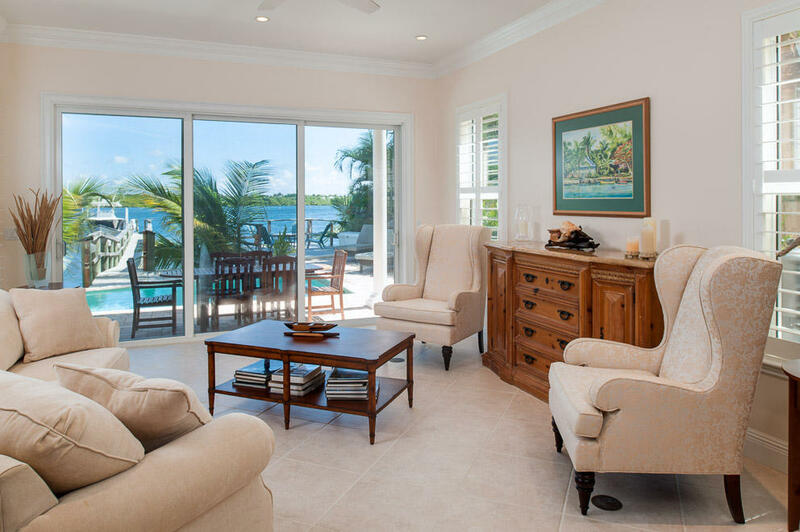 Tucked away just north of Jupiter Inlet this 4 BR/4 BA jewel offers blue intracoastal waterfront views throughout its 3,212 square feet of remarkable living space. A generous chef’s style kitchen is superbly equipped with sleek granite counter tops, custom cabinetry and a gas range stove. The home is sunlit and breezy throughout. The view of the tropical saltwater heated pool and intracoastal can be enjoyed from almost every room. Custom wooden floors adorn this Key West style marvel. 18455 SE Federal Highway is located in Tequesta and is currently asking $2,400,000. Tequesta is a quaint coastal town tucked in the south end of Martin County. The avid boater will be pleased with the 135 foot dock space, 12,000 pound boat lift, and no fixed bridges to the ocean. The backyard boasts a summer kitchen and resort style pool. Located on just north of Indiantown Road, residents of Tequesta also enjoy close proximity to upscale shopping and fine dining at nearby Harbourside Place.